Brief: To design a minimal iPad App for warehouse management. 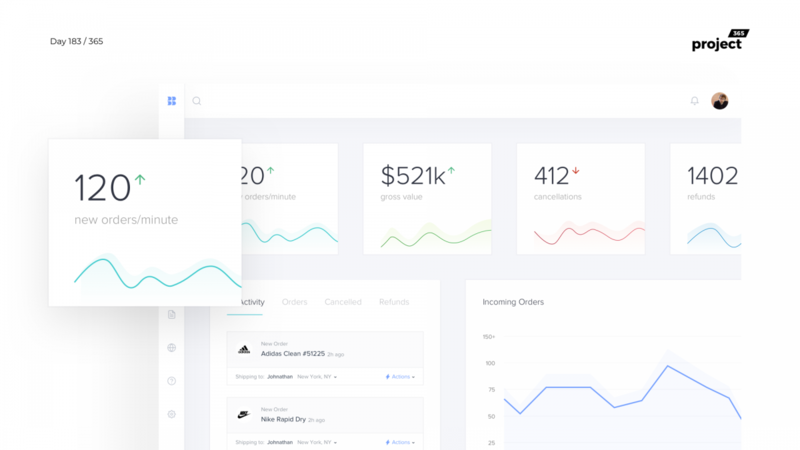 A minimal e-commerce warehouse dashboard concept. 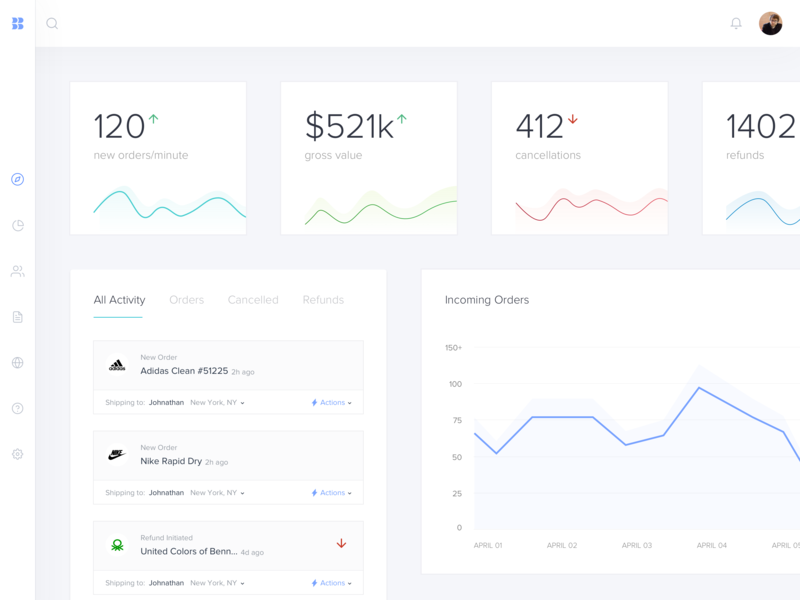 Lets you view statistics of your company, orders, shipping and refunds etc.